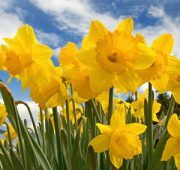 Now that it is officially Spring I would love to write a column full of fluffy bunnies and dancing daffodils but sadly, the outlook for the private rental sector currently looks like the bleak mid winter for both landlords and tenants. This is largely the result of well-meaning legislation plotting a torturous and ill advised path to its lofty ideals. The answer is blindingly obvious. It will come from increased rents. It is a bit like seeing a car advertised as ‘zero percent finance’. Does anyone honestly believe a car finance company is in business to make zero profit? Profit for the finance company is in the package somewhere. Landlords are in no position to take the hit on letting agent fees. Section 24 of the Finance Act (which has been called ‘The Tenant Tax’) will be in full force from this month. This will remove landlords’ ability to claim tax relief on mortgage interest and is in effect, a turnover tax. Some will see a doubling of their current tax bill and are already exiting the market. The private rental sector has overtaken social housing yet at every turn it seems legislation is out to hammer the small private landlord. There is much speculation regarding the ultimate objective, a favourite supposition being that Government wish to squeeze out the private landlord to free up housing stock for first time buyers. Although this idea is firmly in the realms of conspiracy theory might it just play into legislators’ agenda? If this is the case it is ill thought through. If a small landlord has a portfolio of three, four and five bedroom properties and declares “Enough”, those properties are not going to be snapped up by first time buyers. Lenders are not going to loosen their mortgage criteria to accommodate buyers of ex rental properties. So, an interesting Spring for the private rental sector and one we shall watch with interest. Next month I promise fluffy bunnies and dancing daffodils.